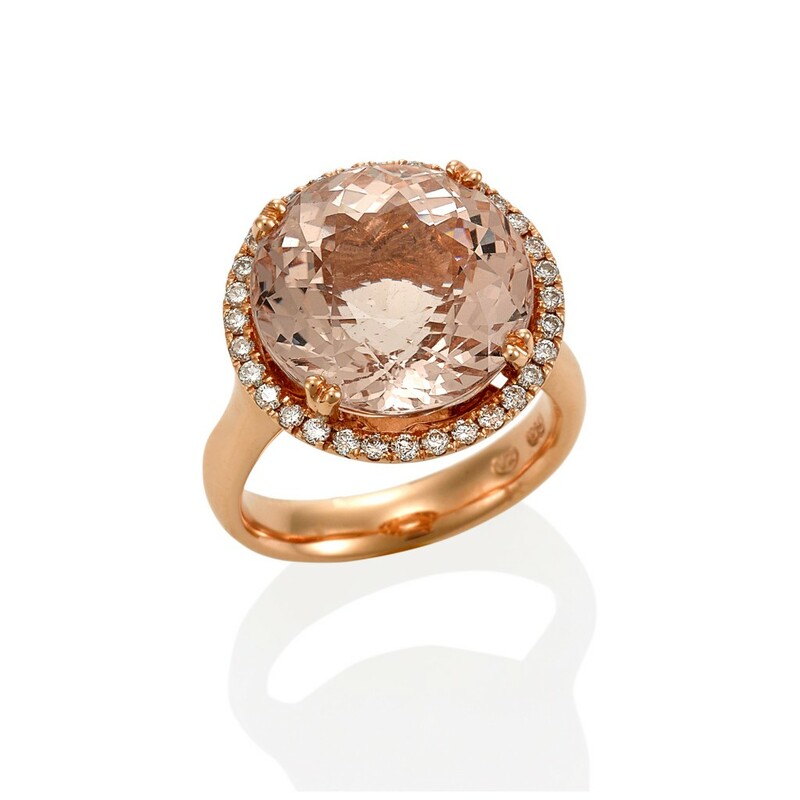 Beautiful Peachy Pink Pastel Ring derives its name from its place of origin, Madagascar. The Morganite stone named for its founder U.S Banker JP Morgan. Its properties said to be full of promise and romance and its bright energy full of compassion and assurance. 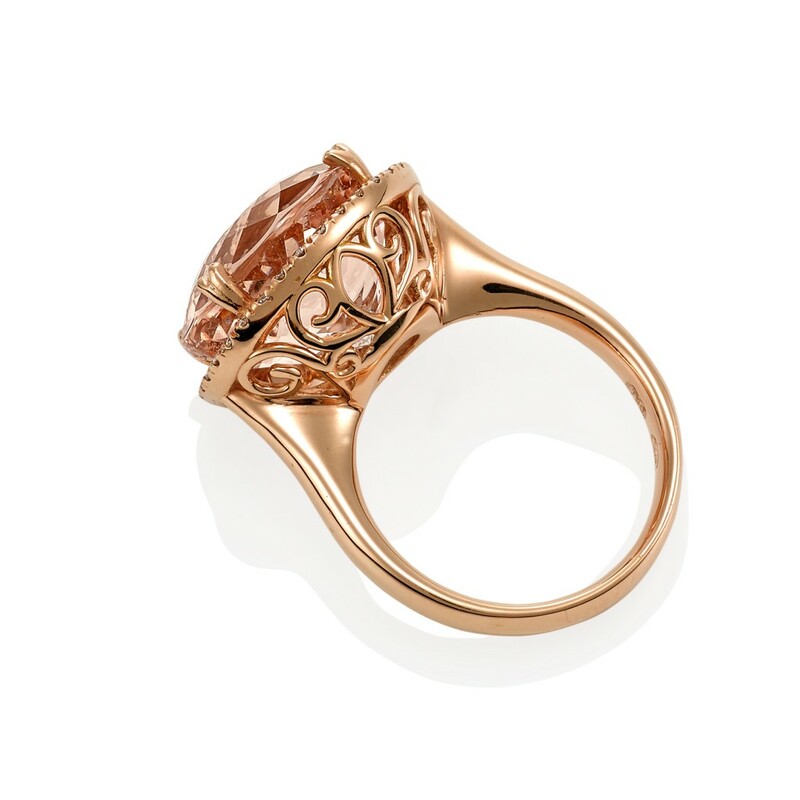 Encircled with White Brilliant Cut Diamonds and supported by a scrolled lattice basket, makes this piece a ‘one of a kind’.